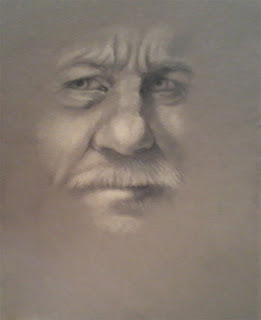 Riverview Art Studios: March MadnessFaces, Day 7: "Papa"
11"x14" pastel pencil on Canson paper. Though titled "Papa", the man depicted here is unknown. A veritable treasure trove of royalty free artistic references can be called up by affixing "public domain" to a search term, including "portraits".